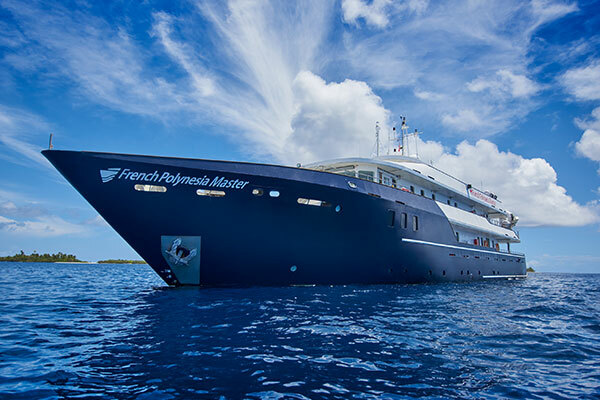 French Polynesia Master "April Sale"
INCLUDES: twin share accommodation and all meals during the cruise; tea, fresh coffee from the espresso machine, fruit juice and soft drinks; diving with the use of tanks, weights and dive guide services, land excursions. CONDITIONS: Discount applies to the liveaboard safari only. Prices based on lead in cabin category on a share basis. Offer does not apply to any extras, marine park and port fees, Nitrox, scuba gear rental, taxes, airfares, pre and post accommodation etc. Offer is not combinable with any other special, is subject to availability and may be withdrawn at any time without notice.